This year, Scuba Junkie's 5th annual 'Shark Week' will run at three locations - Mabul, Kota Kinabalu and Komodo. Together, Scuba Junkie SEAS with partners such as Green Semporna, Trash Hero, Marine Megafauna Foundation, WWF and Project TRY the week will aim to raise awareness about threats to sharks, and to engage with the community on how best to address these issues. Together, we want to work towards a future where there are many alternatives to shark fishing in coastal communities. Sharks are an apex predator, meaning they are at the top of the food chain - they have no natural predators. Sharks are incredible hunters and the role they play in the marine ecosystem is extremely important, they remove the sick and weak and they keep the balance with competitors to ensure species diversity. If, through over fishing, sharks are removed from our oceans there will be a stark decline in the health of our coral reefs; a consequence that is already being seen across the globe. The reason for this is that sharks control the population of species below them. If they are removed then larger predatory fish, such a groupers, will increase in numbers; putting a strain on the herbivore species below them. This shift in the marine ecosystem will cause an increase in macroalgae with which the corals cannot compete. The consequences of this are severe - over 85% of the oxygen we breathe comes from a healthy ocean. Also, in the coral triangle alone over 120 million people rely on healthy reefs for food and income - whether that is through fishing themselves or through the tourism industry. There is no doubt that numbers of sharks are on a steady decline. Shark fin soup may have lost popularity in the mainstream media, but there is undoubtedly still a global issue of sharks being fished for their fins, and shark populations continue to be devastated in many countries. 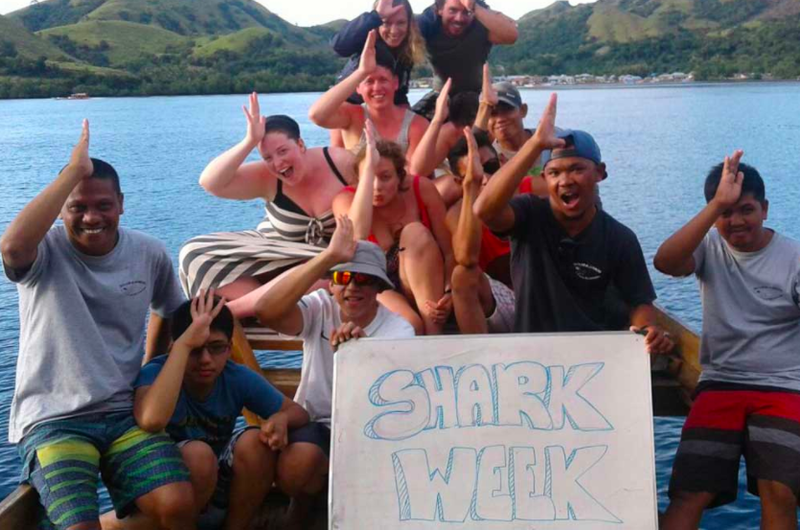 Undoubtedly there has been in increase in global awareness on the threats that sharks face, and many people challenge the medias view of sharks as a dangerous species - but there is still much work to be done. Throughout the Shark Week, here in Komodo we will be hosting the Marine Megafauna Foundation for their important manta ray and shark research. We shall be organising large clean ups in and outside of the Komodo National Park, and will be working with the community of Warloka and the schools there to discuss the marine world. 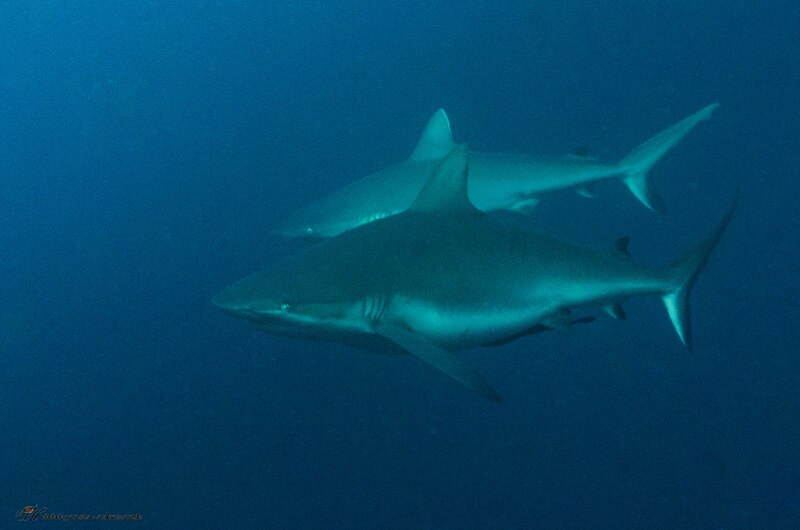 We also hope to start a partnership with Shark Guardian and assist them with research on sharks, and shark education. During the day we will be focusing on clean ups, research and work with the community, whilst in the evenings we will be giving presentations to our guests at the resort. We will also have fund raising events for the protection of sharks. We hope that the week will inspire those involved - from guests at our resort to the community of Warloka - to want to protect the majestic shark species. We hope that they will find a new love for sharks and want to share that love with others. For more information on the schedule and what we will be doing, make sure to follow us on Facebook and Instagram! Sharks is the dangerous creature at the sea, every year always some victim from this dangerous creature. Sharks is the most the dangerous creature and alr get so many victim at the sea. Super post ! It is a great site where I can get details about any companies. Have you another post like https://t.co/ixhdMosxZe , where I can get details about any companies. how you all can so brave doing that? 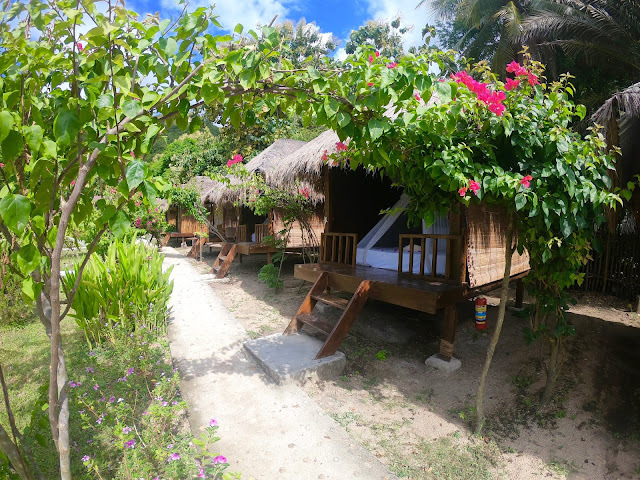 Its very fun to go to komodo island and go to the Gili Trawangan beach. Segera Bergabung Bersama Kami Salah Satu Agen Judi Online Terbesar dan Terpercaya ! Menang Berapapun Kami Berani Bayar!! !